We sat down with Michele Scott-Lynch, founder of UK based brand, BOUCLEME to talk about all things natural hair care. Check out this illuminating interview of one of the few black owned hair brands whose foundation is not only built on transparency but teaching the importance of sustainable ingredients (Literally ... they have an ingredient glossary)! When and why did you start Boucleme? And what does the name mean? I started researching and experimenting with ingredients back in 2012 - making gels, conditioners etc in my kitchen. Then I had a transformational salon experience in New York which became the catalyst for starting the business. Finding natural and effective haircare for curls in the UK was difficult, I couldn’t understand why in the US there was amazing progression with embracing curls but it hadn’t yet happened in the UK. It was important to me on an energetic level that the brand had the name curly in it. 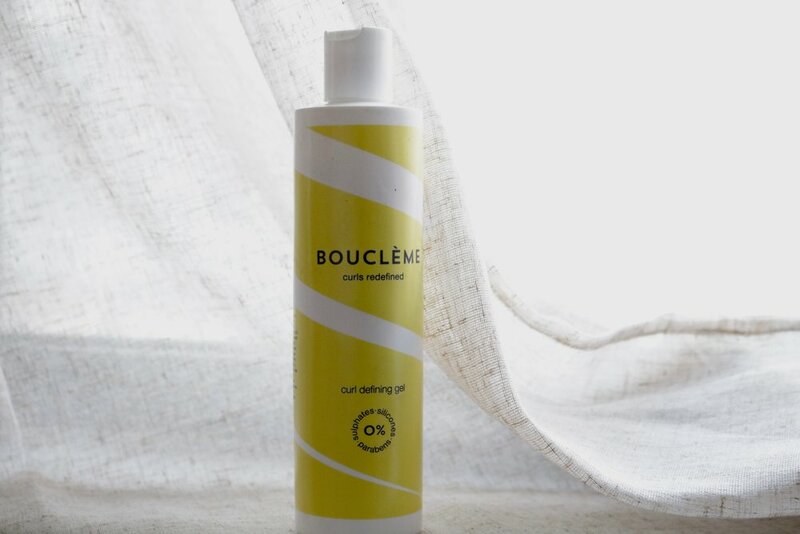 I started googling ‘curly’ in different languages and loved the French word Bouclée so Bouclème was created as a hybrid of this and my name Michele. For me beauty is not about a person’s exterior shell, it’s a feeling. It’s about accepting and loving one’s self completely - being truly at one with yourself - this love then radiates out from within. You began to appreciate the beauty of your curls in your 30’s ... what created this shift in appreciation? What advice do you have for all of the curly hair women out there who may feel insecure? I had been relaxing my hair for about 10 years, fearful of ever revealing my curls, and I was reading Malcolm X’s autobiography and came across a section where he talks about the first time he had his hair ‘conked’ (relaxed) which really resonated with me. After reading it I knew I would never relax my hair again. Below is the excerpt and I hope that anyone feeling insecure about embracing their curls feels moved by it in the same way. For me sustainability is about balance and preserving our precious planet - not depleting the earth of its natural resources by over- farming and being mindful of the ingredients in our skin and haircare products and their effects on sea life. It is also about making sure farmers all over the world are paid fairly for their work and their produce so that everyone has the opportunity to build a better life for their families and communities. What are the core ingredients for your products and where are they sourced? 4 out of our 6 products contain virgin coconut oil, argan oil, aloe vera leaf extract and linseed – you’ll find these in our Curl Cleanser, Curl Conditioner, Curl Cream and Curl Defining Gel. Our ingredients are sourced from different places depending on our supplier. We use Mongongo oil, Marula oil and Mafura butter in our range which are always sourced from PhytoTrade Africa, a company that works closely with farming communities in Southern Africa. They guarantee indigenous African raw plant materials have been sustainably wild harvested by, and for the benefit of, poor rural people. Your site is very transparent in outlining and defining each ingredient while also sharing what toxins are not included and why they’re bad. Why was this important for you to do? I like to live a healthy lifestyle from the foods I eat to the products I put on my body, so I’m a label reader. There is a lot of “green washing” in the marketing of natural products that can be confusing for the consumer. Reading ingredient labels is the only way to truly know what’s inside the product you’re buying. We set out to highlight the ingredient choices we made to simplify this for consumers and also educate them on the effects certain ingredients can have on the body and on the environment so that they can make an educated choice. Does being a WOC influence your brand? If so, why? Bouclème I hope to support this simply by representing all WOC, every shade and every curl type. Why do women of color/ curly haired women need specially curated products that aren’t part of the main stream supply? Furthermore, Black women have a range of hair thickness, texture and coil tightness ... How do you explain the differences and texture and how it should be treated? Curly/natural hair has been misunderstood by the beauty industry for a long time. As a result products brought to market by big corporate businesses have disappointed in their performance – if you haven’t lived your life with curly hair your knowledge of its needs is limited. We recognise the many variations of curls, coils and textures and understand that you can have a variety of curls/textures on just one head. We don’t place too much emphasis on labeling but advocate understanding the needs of your hair (how much moisture does it need, how much does it shrink etc) and experimenting with application and styling methods to help you maintain healthy hair. What has inspired you the most? I find inspiration in many different things: my children, my husband, friends, books, music, food and nature. Nature can really blow my mind.